The chief executive of the Royal College of Midwives has accused the Government of “deliberate misrepresentation” over the structure of NHS pay for midwives and argued that its structure actually saves the NHS money. The fight over NHS pay between NHS unions and NHS employers in England, highlighted by two recent midwife strike announcements, is "the Government’s own making" according to Ms Warwick. She was speaking at this week's RCM Annual Conference [11-12 Nov] and comes off the back of the strikes and the Government’s rejection of the NHS Pay Review Body’s (PRB) recommendation for a 1% pay award for NHS staff. 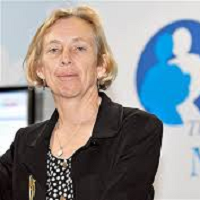 Referring to strike action by midwives last month the UK's top midwife said: “I never thought I would see the day when midwives would go on strike, and I am sad that it has come to this. But I am also angry at the way we have been treated. "The offer made by the Government on pay will see many of the RCM’s members earning the same in 2016 as they were in 2013, against a backdrop of a sharply rising cost of living." She also challenged the Government over its claims that a universal 1% award is not affordable adding that "it is a question of priorities and of how this country wants to spend its money. "If there is not enough money for the NHS, that is because the Government has decided to limit its budget, and to spend our money elsewhere," she continued. "In other words it is a political decision rather than an economic one. After all we are constantly being told by this Government that the UK economy is growing faster than other advanced economies. The Government could therefore increase spending on the NHS; it has simply chosen not to just as it has made a conscious decision to hold down pay. If there really is no money to pay midwives and other NHS staff a 1% pay rise, how come top NHS managers have been given £166 million in bonuses? And how is it that there is money to give MPs a 10% pay rise?" In her speech she also laid down a challenge to employers in Northern Ireland, where the RCM and other health unions are still trying to secure a fair pay settlement for NHS staff. The RCM is also consulting on an improved pay offer in Wales. Speaking on this issue Ms Warwick said: “…the RCM is prepared to fight as hard in these countries as we are in England…This is effectively the start of a campaign to devalue your pay; it has started in England but it has implications across the UK”. She stressed that the RCM was prepared to accept whatever recommendation the PRB made, even if they had recommended no pay rise. Her speech also focused on how efficiencies could be made to save money in the NHS and also lambasted the costly NHS reorganisation. She continued: “The Government and NHS employers claim that you are being denied this award in order to save jobs in the NHS. A pay rise they say means job cuts. Yet the cost of the rise, £300 million according to the Government – is far less than the £3 billion that the Government wasted on a costly and unnecessary reorganisation of the NHS and less too than the estimated £1.5 billion that NHS staff in England have donated to the NHS via unpaid overtime. And it is but a fraction of the £110 billion that is spent each year in the NHS”. Ending her speech, Cathy Warwick repeated her plea to the Government to return to the negotiating table to seek a solution on NHS pay, as she concluded: "Whatever action we do take, let me reiterate that the safety of women and their babies remains our priority".